Vale Chief Financial Officer Luciano Siani said losses in iron ore sales are estimated at between 50 and 75 million tonnes this year. Despite efforts to get back on its feet, Vale (NYSE:VALE) Chief Financial Officer Luciano Siani said the company can expect to see losses in iron ore sales of anywhere between 50 and 75 million tonnes this year. In a conference call to investors and analysts alike, the Vale executive provided an update on the company’s sales as well as its operational and community activity. The call comes after a dam collapsed two months ago at Vale’s Córrego do Feijão mine in Brazil, killing what’s estimated to be hundreds of people and leading to both corporate and local chaos. Since the January disaster, the iron ore major has been forced to halt production at several of its operations, including its Brucutu, Timbopeba and Alegria mines. While the court-ordered closures are temporary, Vale is still expecting to see a cut to its annual production and sales from the shutdowns. 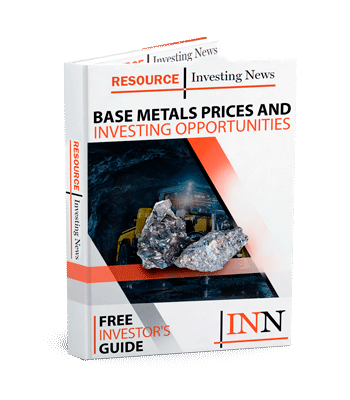 “Because sales for 2019 were forecast to be less than production, we’re talking about anywhere between 307 and 332 million tonnes of sales for this year, with a bias towards the conservative side,” Siani said. In contrast, the company saw iron ore sales of 309 million tonnes in 2018; this year’s original forecast had been 382 million tonnes. In a presentation provided alongside the call, Vale laid out an estimated annual production impact of 93 million tonnes. This comes from the shutdowns at its aforementioned operations, at the Feijão mine and at the Fábrica and Vargem Grande complexes. The combined production of Feijão, Fábrica and Vargem Grande is 40 million tonnes per year (MTPA), including pellet feed that goes towards producing 11 MTPA of iron ore pellets. Despite the expected impact, Siani expressed that the company’s primary focus remains on the safety of its structures and operations versus making up for lost production. “We’re not concerned about production, what we want is to operate in a [safe] manner and ensure the safety of our workers and our communities,” he said in the call. As of 3:27 p.m. EST on Thursday (March 28), Vale’s share price was up 0.28 percent, reaching US$12.70 on the NYSE.